A selection of landscapes from around the four corners of the globe. 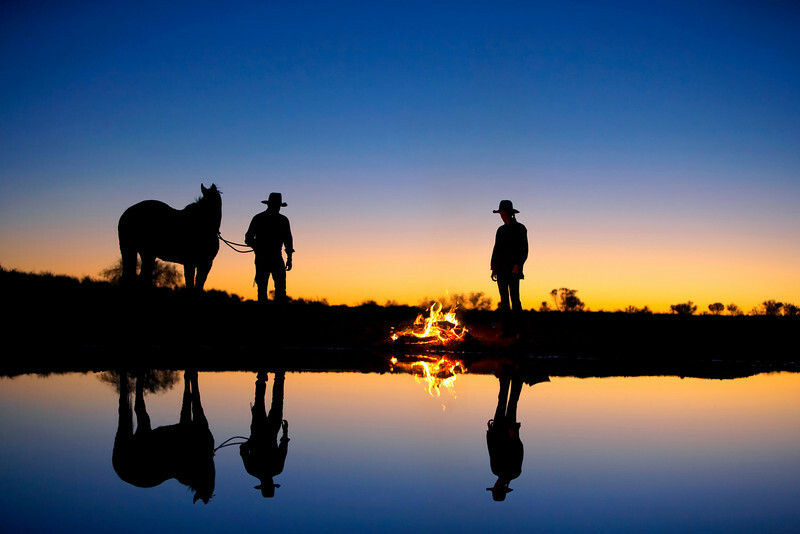 Kymberley and Randall at sunrise at the musterers camp, Anna Creek Cattle Station. South Australian Outback. Australia.